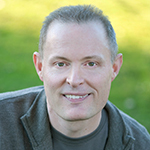 Jason Esswein is a grief counselor serving San Jose, California since 1998. Jason’s focus is to help clients recognize, process, and transition through grief. He is known for his ability to be acutely present and provide honest feedback with compassion and kindness.